The demand for skilled tech professionals continues to rise as companies like Amazon and Facebook are booming in Seattle and King County. But traditional pathways into the tech industry often exclude youth and young adults of color. To help tech companies understand and address systemic barriers that prevent underrepresented groups from access to jobs and to introduce young people to tech training and employment opportunities, Communities of Opportunity (COO) partnered with WorkSource, King County YouthSource, Global to Local, and Partner in Employment to host a Diversity in Tech event for youth and young adults. 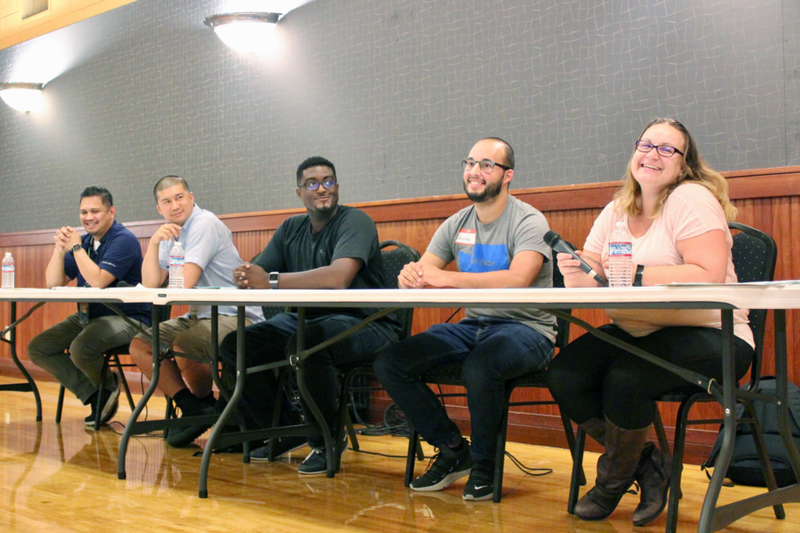 One hundred people from across South King County gathered at SeaTac Community Center to hear directly from tech professionals and employers about working in the industry. The event began with an inspiring welcome by Shaunt’e Nance-Johnson, Career Readiness Program Manager at Technology Access Foundation, who shared the importance of “finding your why” and pursuing your passions. Shaunt’e Nance-Johnson shares her story in an inspiring welcome speech. Tech professionals from Alaska Airlines, Amazon, Facebook, and Zillow share their experiences and advice on how to thrive in the tech industry. Young tech professionals also shared their experiences as nontraditional members of the industry and cited online education, boot camps, workshops and even YouTube as big components of their path to tech. A panel of young tech professionals share how they got started in tech. Working in tech requires a lot of skills and training. The good news is that several organizations in King County provide this training and strive to create a more diverse tech industry through tech inclusion programs. Youth and young adults hopped from table to table to network with representatives from non-profits like ChickTech Seattle, Greater Foundation and Year Up Puget Sound and also had the opportunity to enroll in free introductory workshops courtesy of King County, Skillspire, and General Assembly. 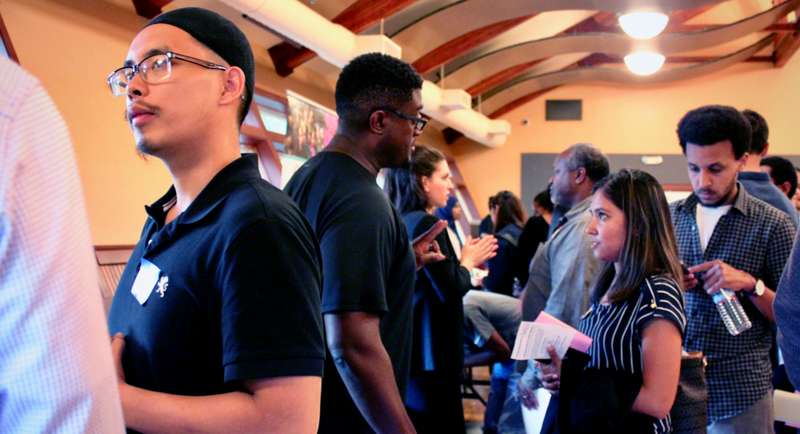 At the same time, by bringing employers together to dialogue, COO aims to bring attention to the systemic barriers that can impact people of color from accessing the support and resources they need. 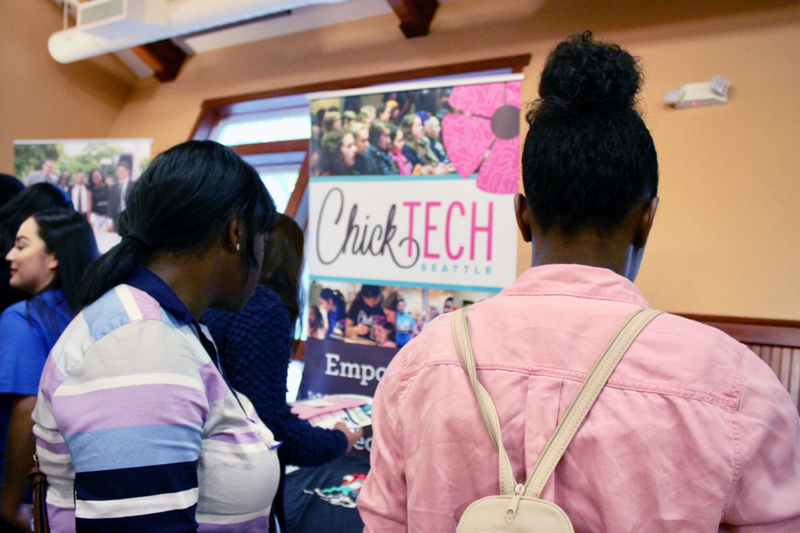 With opportunities to learn about free and affordable tech training programs, youth and young adults of color were able to engage with that community support and begin exploring their careers in tech.